Part of the Lina indoor lighting range. A wonderful angular design flush fitting ceiling light with oblong clear and frosted glass shades. 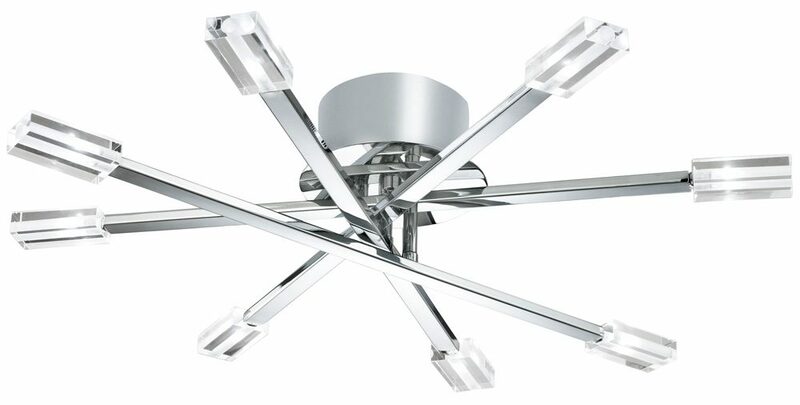 Circular chrome ceiling mount holding four stacked criss-cross bars, with an oblong clear and frosted glass shade and low voltage halogen lamp at each tip. A lovely polished chrome flush fitting ceiling light that is perfect for any room with reduced ceiling height. Supplied with low voltage G4 halogen lamps.